Did Iran Attempt To Assassinate Donald Trump's Lawyer Rudy Giuliani? BRUSSELS - An Iranian diplomat has been arrested along with two people suspected of plotting a bomb attack on a meeting of an exiled Iranian opposition group in France, Belgian authorities said on Monday. 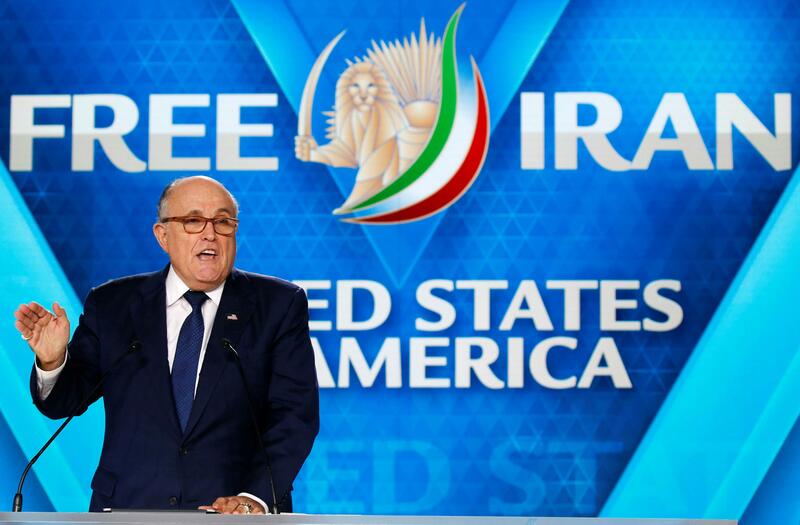 U.S President Donald Trump's lawyer Rudy Giuliani and several former European and Arab ministers were among those attending the meeting of the Paris-based National Council of Resistance of Iran (NCRI). The two suspects in Belgium were intercepted by Belgian police on Saturday, with 500 grams of TATP, a home-made explosive produced of easily available chemicals, as well as a detonation device found in their car, a joint statement by the Belgian prosecutor and the intelligence services said. Two arrests linked to the Belgian case were made in France and Germany. The person arrested in Germany was a diplomat at the Iranian embassy in the Austrian capital Vienna, the Belgian statement said. Staff at the embassy said the ambassador was not immediately available for comment. Iranian President Hassan Rouhani is due to visit Austria on Wednesday. The Belgian statement gave no further details about diplomat, other than saying they were suspected of having been in contact with the Belgian pair arrested. It gave no details about the fourth suspect, arrested in France. NCRI is an umbrella bloc of opposition groups in exile that seek an end to Shi'ite Muslim clerical rule in Iran. Its meeting, which attracted a crowd of thousands, took place on Saturday in Villepinte, just outside of Paris, a three-hour drive from Brussels. "A plot by the religious dictatorship ruling Iran to carry out a terrorist attack against the grand gathering of the Iranian Resistance in Villepinte was foiled," Shahin Gobadi spokesman for NCRI said in a statement. "Once more the good cooperation between countries has borne fruit," Michel wrote.